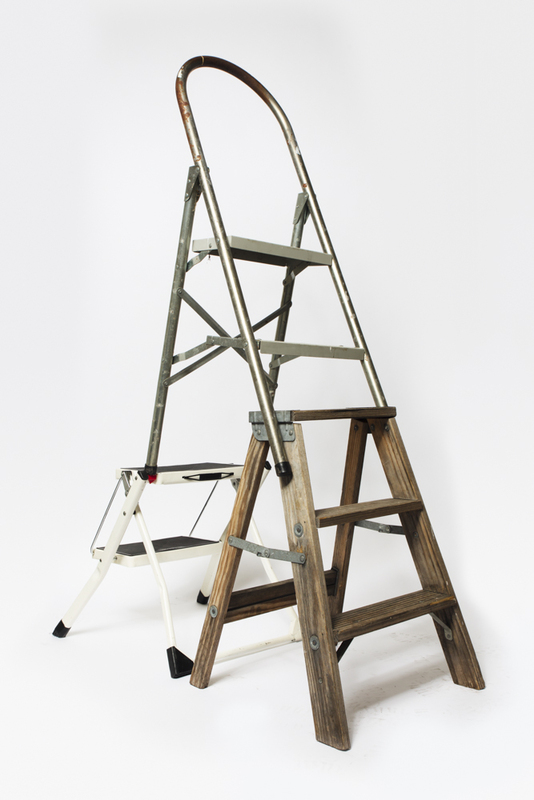 INADEQUACIES OF HEIGHT is a found object sculpture that stacks together three step ladders of varying heights to create a taller stepladder as a metaphor for class mobility especially in the context of West coast Filipino-American history. The work uses precarity and visual deception as a means of reflecting the constructed inability to climb social ladders while also referencing ingenuity and resourcefulness within difficult circumstances. 2017, Stepladders, 16 1/2 x 39 x 56 1/2 inches.